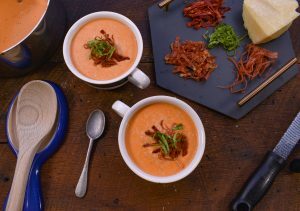 Need a soup that will warm you up from your toes to your dome. 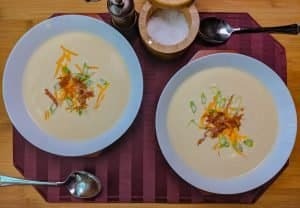 This Five cheese creamy cauliflower soup is perfect for anyone trying to cut down on the carbs without sacrificing a drop of flavor. You too can Prepare this Classic French Recipe. All you need is some time, some thyme and a sense of humor. Just Kidding, But seriously, don't let these fancy sounding french words intimidate you from taking on this low carb version of the original comfort food! 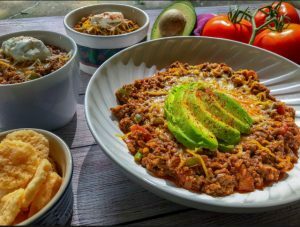 If you are Looking For the Ultimate Keto Gameday Chili Recipe then you have arrived at your destination. 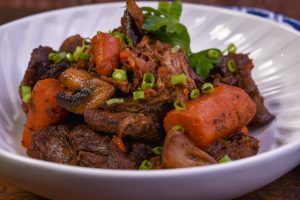 If flavor and a full belly is what you seek than rest assured this low carb chili has it all and more!